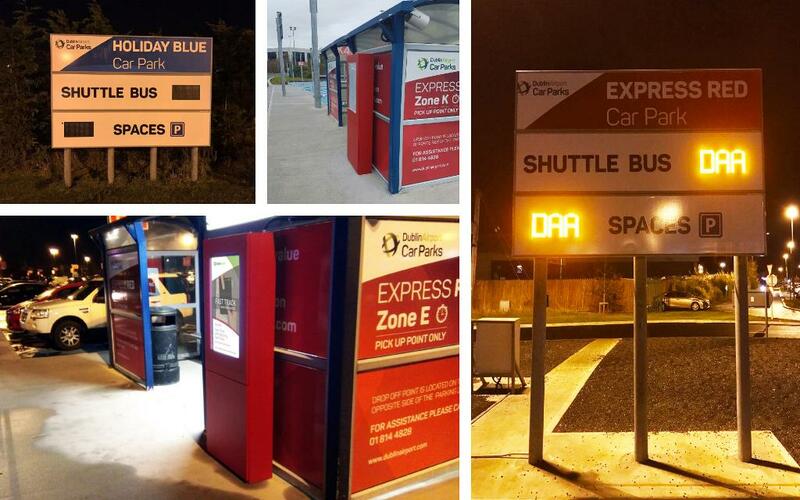 Earlier this year, we launched a fantastic project at Dublin Airport to assist with delivering helpful information to passengers at both bus shelters and the airport’s passenger carpark. In total, we positioned 22 high-bright screens at each of the airport’s bus shelters and installed a further 5 LED displays in various locations within its passenger car park. With the overall objective being to simplify the passenger experience before even entering the terminal, the solution was designed by ADXBA to deliver useful information to passengers at all necessary transport points. We were therefore able to create bespoke control software that would enable the screens to show a range of useful information, including zones with available parking spaces, the time of the next bus arrival, live departure information, current security queue times and finally advertising content. We were also able to develop the software even further to allow the content to be controlled by airport staff via a simple mobile app – for added convenience!